Exciting news from Kustomer today! Read the full release below and follow us on social for our execs and investors’ take on the news. 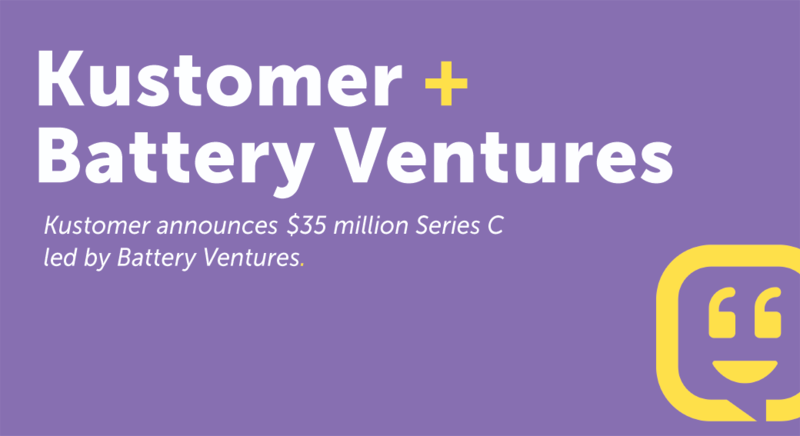 Kustomer, the next-generation customer management platform for the people-first enterprise, announced today a $35 million Series C round led by Battery Ventures, bringing Kustomer’s total funding to $73.5 million. The investment comes just 6 months after its Series B round in June of 2018. Kustomer plans to use the capital to accelerate its go-to-market strategy, expand internationally, and invest in its platform, launching new products while cementing its position as the next-generation alternative to legacy solutions like Salesforce, Oracle and Zendesk. Kustomer’s explosive growth has been driven by its ability to attract large companies with thousands of service agents, rising frustration from existing outdated solutions that fail to deliver on their customer experience promise, the need for business process automation to drive efficiencies, and an overall shift in approach to customer management. To keep up with growing demand, Kustomer has doubled the size of it’s workforce in 2018 and is planning on more than doubling it again in 2019. Today it is also announcing key senior leadership appointments, bolstering its leadership team capabilities as it takes on giant industry leaders and continues its growth momentum: Amir Oren as VP of Finance (Formerly of Talkdesk, Zendesk and Dropbox), Nelly Rinot as VP of Marketing (Formerly of NICE, RRD and Radware), Alex Gadd as VP of Customer Experience (Formerly of SugarCRM and Oracle), and the promotion of Vikas Bhambri to SVP, Global Sales and Customer Experience (Formerly of Oracle, LivePerson and 8×8). Customer Friendships are created with Kustomer. Our customer management platform for the people-first enterprise is intelligent, powerful and flexible, and scales to meet the needs of any contact center and business. Agent-friendly as well as customer-friendly – Kustomer unifies data from multiple sources, enabling companies to deliver effortless, consistent and personalized service and support through a single timeline view. Today, Kustomer is the core platform of some of the leading People-first brands like Ring, Rent the Runway, Glossier, Away, Glovo, Slice, Sweetgreen, Stella & Dot, and UNTUCKit. Headquartered in NYC, Kustomer was founded in 2015 by serial entrepreneurs Brad Birnbaum and Jeremy Suriel, raised over $70M in venture funding, and is backed by leading VCs including: Battery Ventures, Redpoint Ventures, Canaan Partners, Boldstart Ventures, Social Leverage and Cisco Investments. To learn more about Kustomer visit www.kustomer.com or reach out by email to media@kustomer.com. Battery strives to invest in cutting-edge, category-defining businesses in markets including software and services, Web infrastructure, consumer Internet, mobile and industrial technologies. 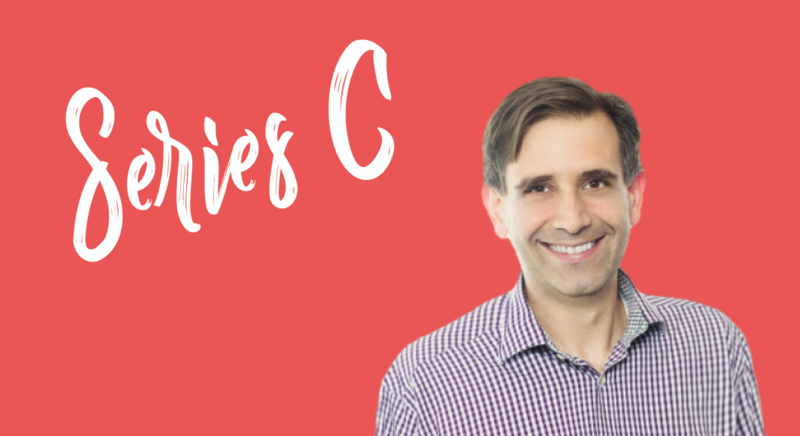 Founded in 1983, the firm backs companies at stages ranging from seed to private equity and invests globally from offices in Boston, the San Francisco Bay Area, London, Israel and New York. 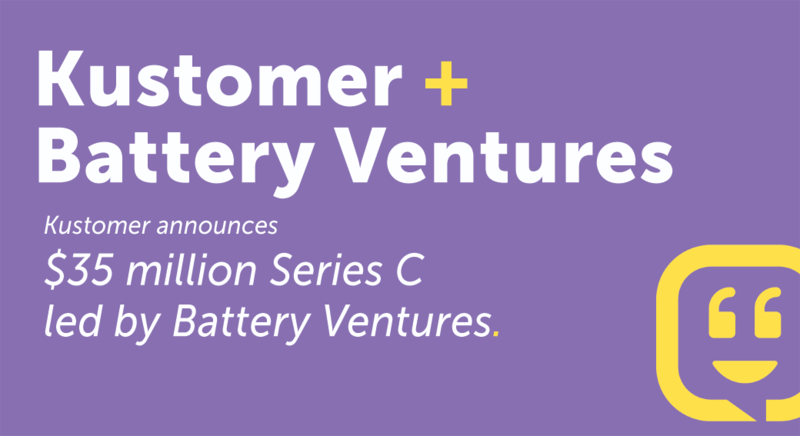 Follow the firm on Twitter @BatteryVentures, visit our website at www.battery.com and find a full list of Battery’s portfolio companies here.